The 19th century steel magnate Andrew Carnegie warned that “the parent who leaves his son enormous wealth generally deadens the talents and energies of the son, and tempts him to lead a less worthy life than he otherwise would” but the laundry industry clearly contradicts this belief as it has been built on the hard work and successes of families. 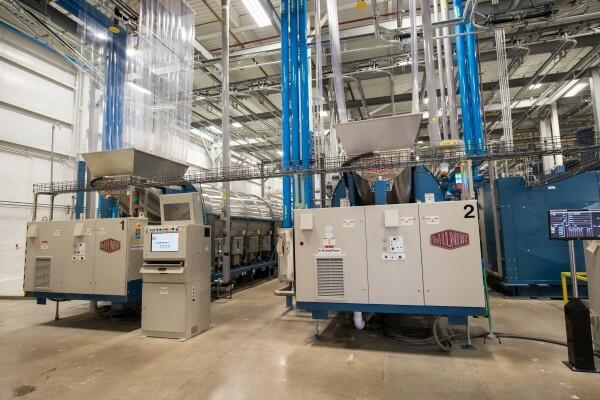 Arrow Linen Supply (Arrow) and Pellerin Milnor Corporation are two examples of such success. 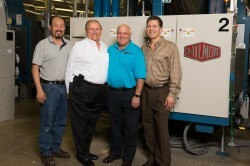 Both companies have been in business since 1947 and are now run by third generation descendents/owners. 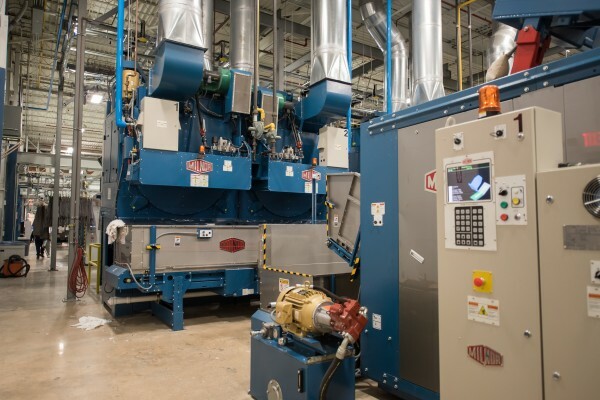 Continuing the family tradition, both also have fourth generation employees who work to preserve the legacies and the future success of their family businesses. 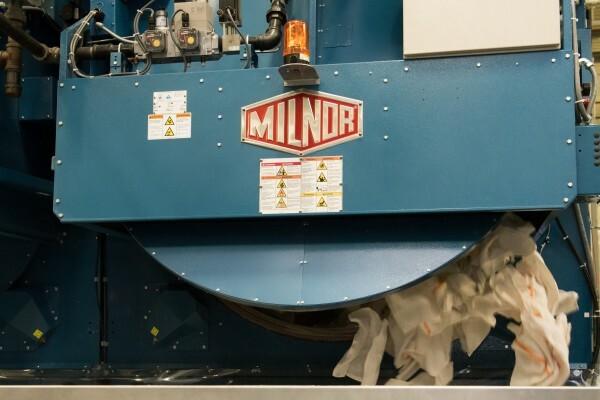 By working together to identify their specific marketplace needs, Arrow and Pellerin Milnor Corporation have insured their longstanding successes for future generations. 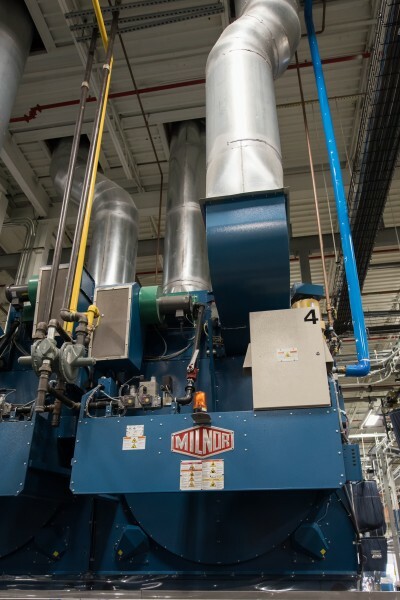 Arrow purchased its three Milnor CBW® tunnels two decades ago for the original laundry, which is located in Brooklyn, New York and these three vintage tunnels are still in operation today. In 2013, Arrow decided to expand operations and find a second location. 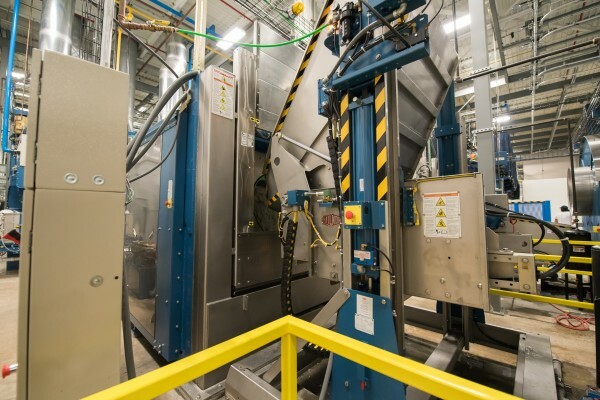 The business could have chosen any manufacturer to equip the new washroom, but Arrow was convinced that it would obtain longevity, durability, and accountability with Milnor. 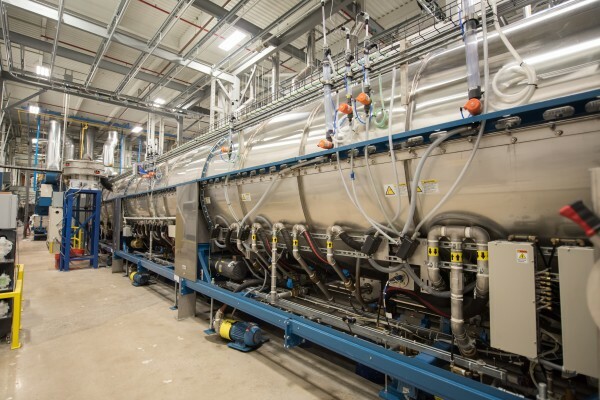 Pellerin Milnor has 200 PBW™ tunnels operating throughout the world and the Maglioccos had been aware of the ongoing successes of Milnor’s PulseFlow® Technology since 2009. 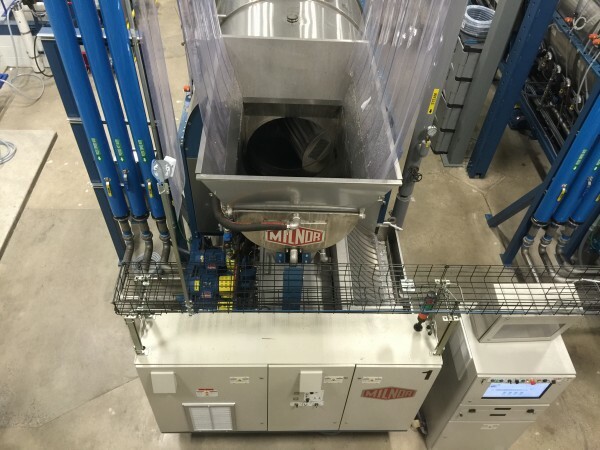 So they asked authorized Milnor distributor Direct Machinery’s Ron Hirsch for his help in installing PulseFlow® tunnels at their newly refurbished plant. 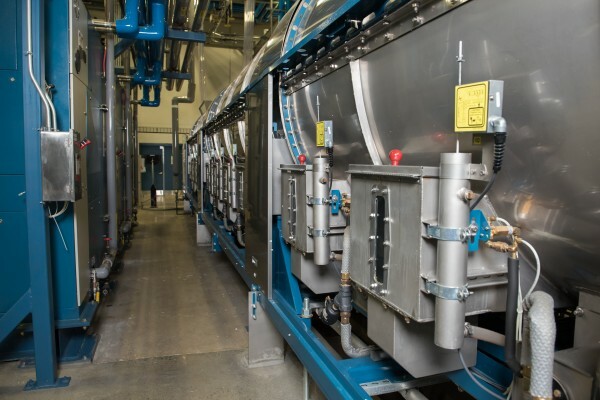 Now Arrow, with its twin PBW tunnels, joins the growing list of rental/food and beverage (F&B) laundries that process heavily-soiled linen with minimal fresh water consumption and still produce excellent wash quality. Arrow’s new laundry is located in Garden City, Long Island. The general contractor for the build-out was ARCO Murray. Clever and creative thinking turned a problematic ceiling height into an ingenious solution by lifting the roof from its original position by 11 feet (3.35 m). 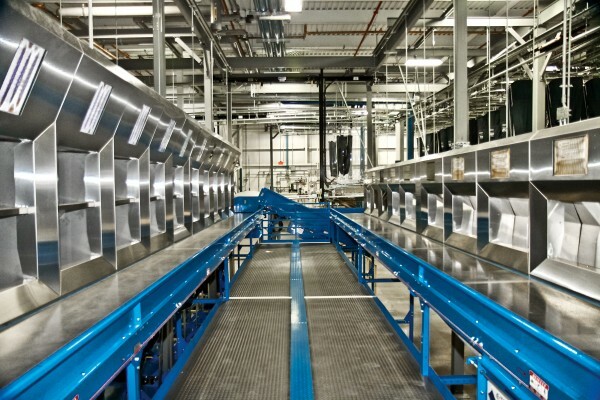 The state-of-the art laundry processes heavily-soiled work and delivers the high quality finish that is demanded by its food and beverage customers throughout New Jersey, Nassau, Suffolk, Rockland, Westchester Counties and the five boroughs. 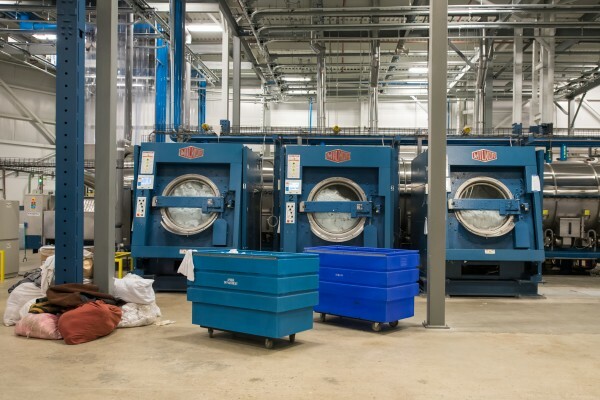 The Garden City laundry covers 72,000 sq ft (7,000 m2) and is capable of processing 260,000 lb (118,000 kg) weekly, while the Brooklyn laundry handles similar volumes. 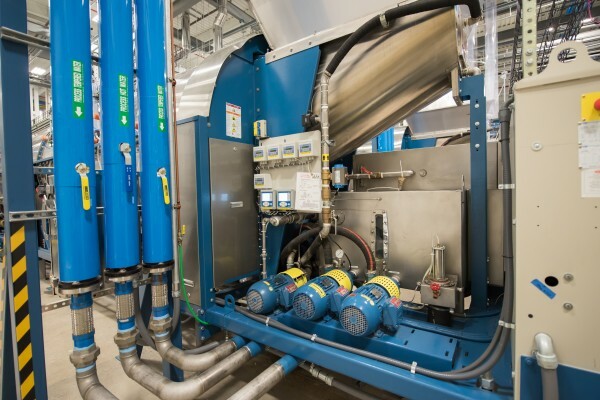 Garden City is equipped with two Milnor PulseFlow 76039 150 lb (68kg) tunnels, with two M9V4840 260 lb (118 kg) centrifugal extractors, two single-load, elevating wet goods shuttles and three 48040 H7N 275 lb. 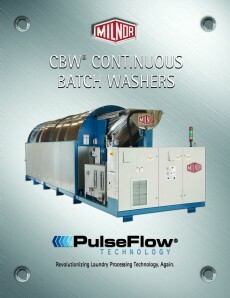 (125kg) capacity tilting washer-extractors. 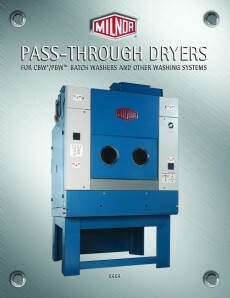 In addition there are four 6464TG1 200 – 350lb (91–158kg ) pass-through dryers and one DryVac lint removal system. 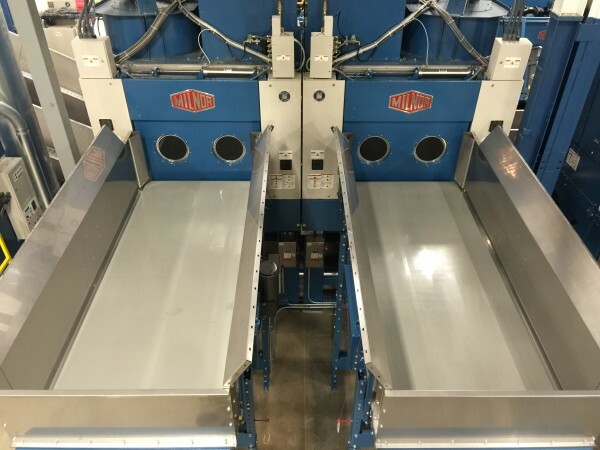 Milnor’s E-Tech rail system transports linen throughout the laundry while Milnor’s Mentor® and Multitrac® controls communicate with E-Tech’s E-Vue software via DataFusion™ to provide total production insight in real time. Frank Park added that the PBW tunnels represent a major improvement on the CBWs, giving far superior wash quality with only 50% of the water consumption. 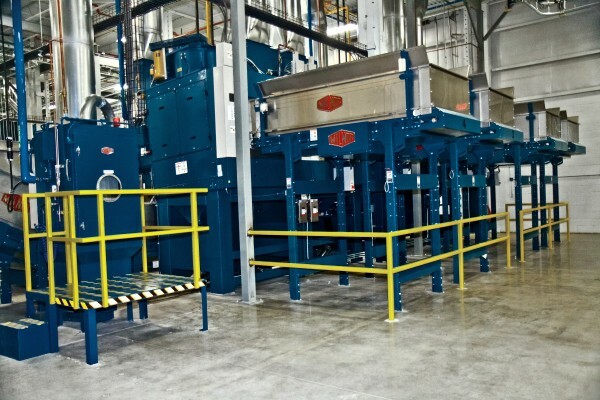 Arrow’s past president and current CEO John Ambrose Magliocco said: “Over the past two decades, we have come to trust Milnor and its people to meet our extremely high standards.” He continued: “They have done everything they promised and more, raising their quality to a higher level.” Arrow employs nearly 100 people at the Garden City location. 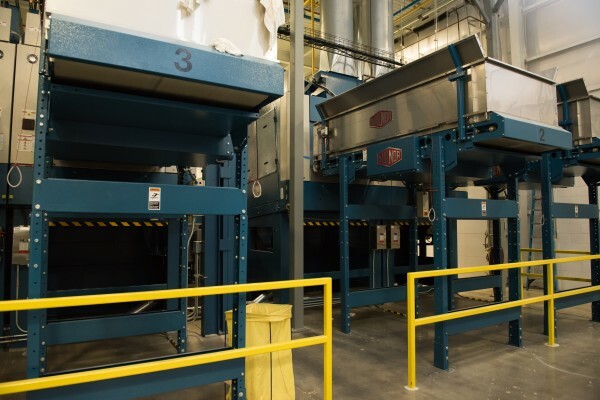 This second laundry site will allow the company to expand its business well into the future, while reducing operating costs and improving the quality.